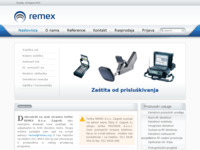 PlayStation 2, PlayStation 2 oprema, GSM oprema, PC oprema. 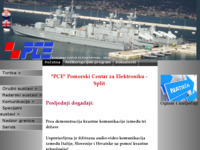 Only Croatian company that deals with protection of personal communications. 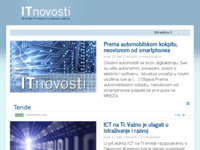 This is web site about informatics in Croatia. It is broadcast only on radio Saturday at 5:30 PM. You can listen live streaming with Real Player. Technical support for home users and companies.Just call and we will be at Your place and imediately solve the problem with computer which bother You.If You ask for quick and quality service You are at the right place. Cryptographic equipment. Crypto telephony. Multifunctional consoles (MFC). Radar and navigational equipment - service and maintenance. 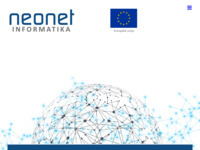 Neonet informatics is founded at year 2003 with a goal to provide developement, implementation and maintenance service for computer networks. Today, along our primary sevices, we provide to our customers sale and service for computer equipement, developement of internet solutions, buisiness analisis, and many more. Official distributor of Olympia Cordless Dualphone for Croatia, Slovenia, Bosnia and Heryegowina and Serbia and Montenegro. Development of special software for HVAC and sanitary water calculations - IntegraCAD. 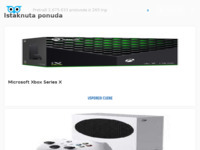 Forum o mobilnoj tehnologiji; rasprave o mobilnim uređajima i mobilnim tehnologijama, recenzije, aplikacije, igre, oglasnik. avast! is complete desktop and server protection.